For the best garage doors available in the Houston area of Texas in terms of both functionality and aesthetic appearance, trust the experts at 31-W Insulation. 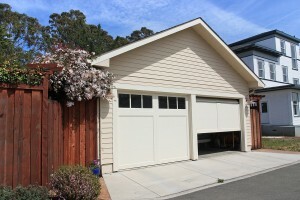 We offer garage door systems from Amarr®, one of the most respected manufacturers in the industry. With insulation options and some of the best safety features available, as well as durable construction from wood, steel, or fiberglass, your new door will help keep your garage safe, energy efficient, and looking fantastic for years to come. For these reasons and more, we have maintained a consistent A+ rating with the Better Business Bureau for years, meaning you can trust that we install garage doors efficiently, precisely, and with an emphasis on courteous service. If you’re interested in learning more about having our team install one of our garage doors for you, or to schedule a complimentary consultation in your Houston, Texas, home, contact 31-W Insulation today.